Professor Eugster's research is concerned with the development of distributed systems software. Particular topics of interest include fault tolerant algorithms, middleware, and programming languages and models. Professor Eugster was educated in Switzerland, and has worked for both Swiss Federal Institutes of Technology in Lausanne (EPFL) and in Zurich (ETHZ), as well as for Sun Microsystems (now Oracle) prior to joining Purdue University. He has authored over 70 refereed articles, and is a member of ACM and IEEE. 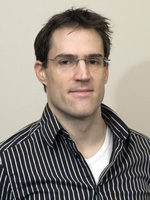 Among other awards for his research and teaching, Professor Eugster has received an NSF CAREER award (2007) and Experienced Researcher fellowship by the Alexander von Humboldt foundation (2011). He is also a member of the 2011 DARPA Computer Science Study Panel.